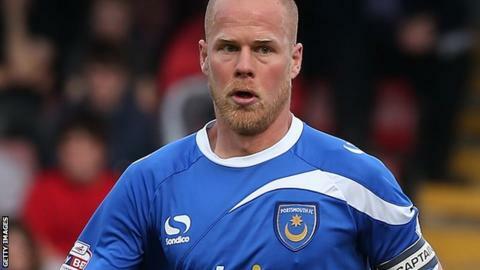 Portsmouth captain Johnny Ertl has left the League Two club by mutual consent after not featuring in new manager Paul Cook's pre-season plans. The Austrian, 32, arrived at Fratton Park in 2012 after leaving Sheffield United, and made 88 appearances. Former Crystal Palace man Ertl played as both a defender and a midfielder during his time with Portsmouth. "I want to wish the new manager well and I'm sure he can lead Pompey to a successful season," he said. "I want to remain in football and I'm staying in the local area, so will be happy to offer my experience to the club if they ever need my help."